This is it, the moment you’ve been waiting for. Today, we’re going to talk about some of the most accessible ways for you to actually invest your money. Because you know what? You’re ready. That is, you’re ready if you’re reading this and you already have the following. A solid grasp on the different investing terms you need to know, and you’re clear on the importance of diversification. If you don’t have those things yet, don’t worry. I cover literally exactly those things in my free investing course, Zero To Investing Hero. This post is actually an excerpt from one of the later lessons in the course, so if you get to the end and you’re still not sure what to do? Sign up for ZTIH, pronto. I don’t know how many times I can say that this is not advice for hedge fund billionaires, but it bears repeating. 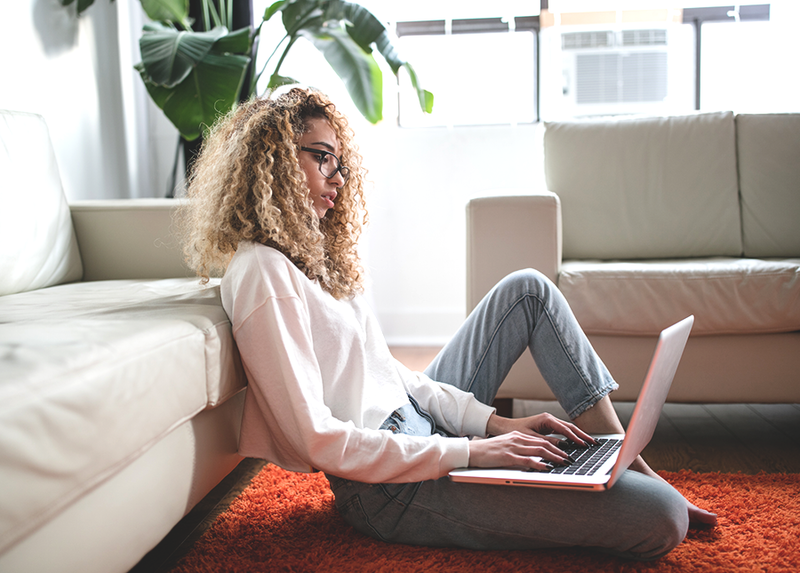 These are some of the best options for people who are ready to get started with investing for the first time, but they’re by no means the only ways to invest your moolah. That said, they really are an excellent place to start, so here we go. An online wealth management service that automates every part of investing, using algorithms and technology. They can build you a balanced, low-cost portfolio and handle all the details, and many of them have real-life humans you can talk to if you need to. Generally, they take a mostly passive approach to investing, so there’s no, “we’re going to beat the market for high fees!” nonsense. celCons: There are a lot of robo-advisors, so it can be hard to choose the “right” one for you. If you’re not comfortable with technology, you might not like the online-only experience, and they do charge higher fees than a totally DIY approach. You want a happy medium between totally-hands-off investing and low fees, and you want an approach that will let you start with a small portfolio (most robo-advisors have very small minimum investments, and some have no minimum — you can start with $10). Robo-advisors are just as hands-off as the higher-cost options, with way lower fees — but they are more expensive than the rock-bottom cost of a totally DIY approach. P.S. : If you’re looking for a personal recommendation, I use and love Wealthsimple. Pros: You get entirely customized, one-on-one advice, from a real human being — no need to DIY anything. If they’re a CFP, they will usually take your whole financial situation into account as well, not just your investments. Cons: You need to be really clear on how much you’re paying for advice since different advisors have different fee structures. Some charge a percentage of your invested assets (that’s AUM, or assets under management) and others just charge a flat fee for building you a plan and giving you advice. You really want one-on-one guidance that’s specific to your financial situation, or if your financial situation is pretty complex already. They’re the experts, and if you’re working with some complicated money stuff, you can trust a CFP to keep you safe and sound. To find one that’s right for you, check out FPSC in Canada, or XY Planning Network in the States as a starting point — and ask around! Your network might be able to recommend someone great. Heads up though: some advisors will have minimum account sizes if they’re going to manage your investments for you, so be prepared to have that conversation when you’re getting started with them. Your bank’s financial advisors can offer advice and set up your investments for you, usually without you needing to do much at all. Generally, they offer a range of mutual funds and similar options. Pros: Everything is pretty much taken care of for you, and you can get everything set up in the course of a single meeting at the bank — and it usually runs on autopilot from then on. Cons: Fees. Bank mutual funds are notoriously high-fee investments, with many of them clocking in at higher than 2% MER. You’re paying a whole lot of money for the convenience of investing with your bank. Plus, those advisors you’re talking to likely get paid commission or have sales targets tied to high-fee mutual funds. That means their interests aren’t always aligned with yours. An online service that allows you to buy stocks, bonds, commodities, ETFs, index funds, and more. Depending on which brokerage you choose, there may be a wide range of options or far fewer. This is the DIY dream because you have full control of exactly what you buy, and how much. Pros: You have full control, and you usually have access to the lowest fee structures around. This approach is how you can buy those 0.05% ETFs. Cons: It can be a tricky process to get set up, and at the end of the day, you’re in charge of everything — from choosing investments to rebalancing your portfolio. It’s definitely not a hands-off approach. You’re ready to get your hands dirty and put in the work to reap those sweet, sweet low fees. You’re okay with making all the decisions, and you’re confident about things like rebalancing your own portfolio. Plus, you have enough money to get started — some of the online brokerages have hefty minimums in the thousands-of-dollars range. So, is this all of the investing options available to you? Not by a long shot, but it is a pretty good list of places to start, especially if you’re just getting into the investing game. Once you’ve gotten your feet wet, feel free to look into other options — in my case, I’ve been perfectly happy to start out with a robo-advisor, and I might graduate to a totally DIY online brokerage someday!